The international peace conference in Annapolis ended today, as both the Israeli and Palestinian negotiating teams pledged to begin formal negotiations on final status issues over the next few months. Israeli Prime Minister Ehud Olmert and Palestinian Authority President Mahmoud Abbas have agreed to continue their fortnightly meetings to discuss issues which will include the right of return for Palestinian refugees and further disengagements from Judea, Samaria and East Jerusalem. A joint declaration was read out by the leaders last night, committing all parties to finalize a peace agreement before the end of 2008. But it nearly didn't happen. According to Israeli sources, a draft statement had been agreed as early as Monday, but the Palestinian negotiating team changed their minds repeatedly. Quote: "They said the Monday night talks with Erekat produced several agreements, but the next morning, the Palestinians changed their mind. That, said the Israelis, already had happened several times during talks on the declaration, but they were shocked that the Palestinians were doing it again at this late date and on such fundamental issues as a timetable for negotiations and reference to the road map peace plan. Foreign Minister Tzipi Livni, who headed the Israeli team, lost her temper and told Qureia to "take it or get lost," the sources said. Quote: ""Very soon even the most stupid people will realise that the Annapolis conference was right from the beginning doomed to fail," he added, without clarifying to whom he was referring. Once again predicting the imminent collapse of Israel, the president said the Annapolis initiative would like previous peace plans and conferences bring no results for the Middle East crisis. Quote: ""It is impossible that the Zionist regime can last," the government mouthpiece website of state broadcasting quoted Ahmadinejad as saying in a cabinet meeting. "Deterioration is in the nature of this regime as it has been built on aggression, lying, crime and wrongdoing," he added. Of course the Iranian President has already proposed his own solution to the Middle East conflict, the complete destruction of the state of Israel. Abbas wasn't the only one calling for Israel's disengagement from all territories captured during the Six Day War. The Syrian delegation, which attended the conference on the basis that Golan Heights would be addressed at the gathering, stated that there would be no Arab recognition of Israel's right to exist until Israel withdrew to the 1948 armistice lines, and even then the Arab nations would only "consider" making peace with Israel. Quote: "Syria told the Annapolis peace conference on Tuesday that Israel should pull out of land captured in 1967 before Arab countries would normalize ties with it. "The establishment of normal ties with Israel ... must be the fruit of comprehensive peace and not precede it," Syrian Deputy Foreign Minister Faisal al-Mekdad told a closed session of the U.S.-sponsored Middle East summit, attended by U.S. Secretary of State Condoleezza Rice. "To phrase it clearly and decisively that this [normalization] comes after the total Israeli withdrawal from the 1967 Arab land," he said in a speech obtained by Reuters. So what has the Annapolis conference actually achieved? For Israel it seems, very little indeed. 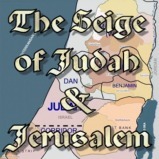 The Bible states that a peace agreement will come, but it will not last. Under this false peace, the land of Israel will be re-divided (Daniel 11:39) and the eastern half of Jerusalem will fall into Muslim hands (Zechariah 14:2). 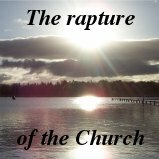 This commences the Great Tribulation period, as prophesied by the Lord Jesus Christ in Matthew 24:21. A remnant of the Jewish people will be miraculously delivered from this onslaught, being airlifted into the wilderness for the last three and a half year period (Revelation 12:14). At the end of Daniel's 70th week, the armies of the world will gather in the valley of Megiddo to solve this problem once and for all (Revelation 16:16). Then Jesus Christ will return with the armies of heaven to destroy the armies of the Antichrist and set up His everlasting kingdom. As we can see from today's news, there may be little hope of compromise, but this is only to be expected in light of prophecy. 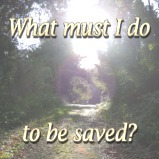 Have you trusted in Jesus Christ for salvation? Believe on the Lord Jesus Christ and you shall be saved (Acts 16:31).